This high-performance jacket has a waterproof shell and soft micro-fleece lining. 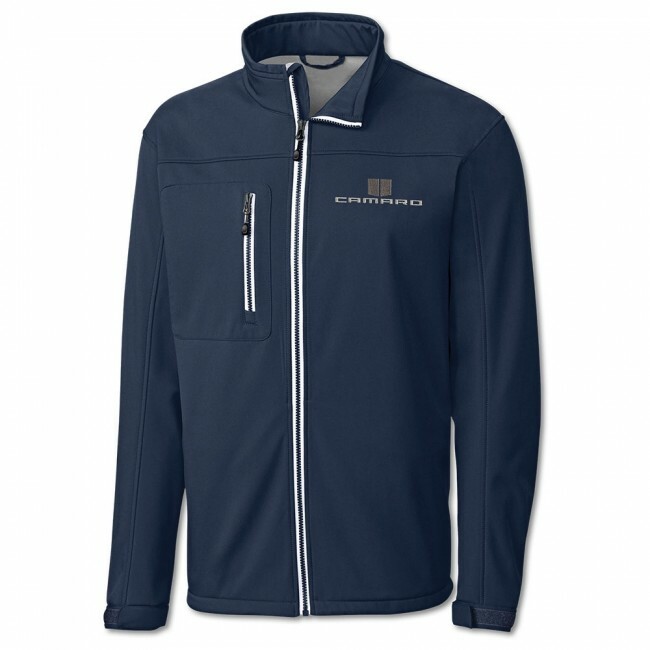 It features front zip-thru collar and zippered right chest pocket all accented with white taping. It has two exterior zippered hand pockets, adjustable cuffs and hem. Camaro hood stripes and signature embroidered on left chest. 96% polyester/4% spandex. Waterproof to 1,000mm. Imported.